Gotcha Captcha – ePlan Solution, Inc. 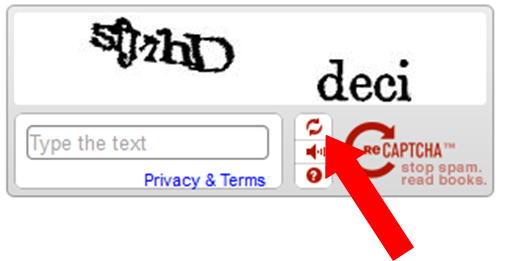 If you struggle to figure out the captcha associated with creating your user account, you can refresh the image until you get to one that is a bit easier to read. Select the circular arrows to the right of the text input box and you will receive a new set of characters to enter.